Elon Musk is a monster. An innovative genius. Who? Who in the tech/innovative industry would surrender their “competitive advantage” for the “greater good”? Especially with the threat of that kind of information finding its way into the eyes of companies(and countries) who would/can do it cheaper/possibly better (China). Companies get sued for billions of dollars for things like this. (See Samsung and Apple). Its like an open invitation fort tech companies to “challenge” Tesla and even Elon Musk himself or maybe even help him finish the journey that he is already on. From a tech stand point, open sharing of information inspires growth and innovation. From a business standpoint, I’m sure there are people who have money in Tesla that are squirmy from this news. He may have started something very interesting …or may have thrown away a lot of money. ← A Slow Roll… Godzilla sized update! Elon Musk is the CEO of SpaceX and Tesla. In these two companies, products manufactured have never been proposed before. For SpaceX (USA), the company is able to sell a rocket launch for satellites for 12000 dollars / kg as cost for Ariane 5 (Europa) is 23000 dollars / kg and for Proton (Russia), 18000 dollars / kg. As ILIAD for French Telecommunication, SpaceX is completely redefine the market of space rocket launch. He obliges restructuring Safran (Ariane) into Airbus group in June 2014. 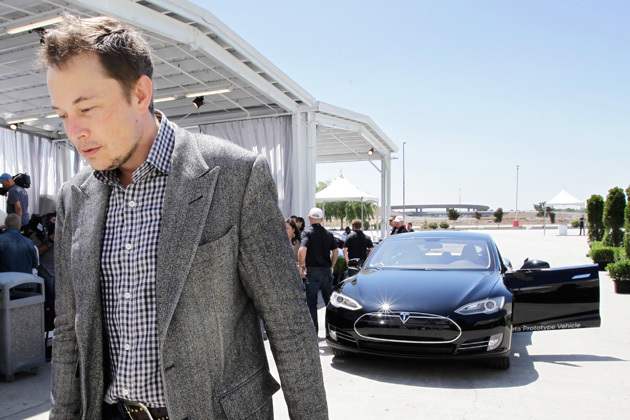 Elon Musk is also the CEO of Telsa, a company selling only electric cars in USA! Elon Musk is a serial creator, as he was the creator of Paypal sold to Ebay in the 2000′s years. Yes but there has been a huge buzz over Tesla especially with its Model S and upcoming battery”super plant” It’s amazing that he is willing to take on coporate predators despite moves he is making with Tesla. I guess to your point, he does have Space-X to rely on. Smart guy nonetheless.